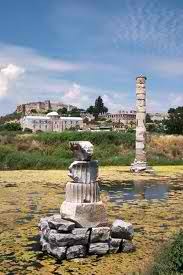 The Temple of Artemis at Ephesus was built in the 6th century BC. 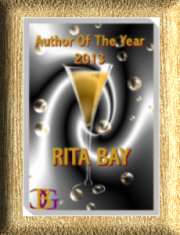 Dedicated to the Greek goddess Artemis as a patroness of women in childbirth, it took 120 years to build. Lydian kings including Croesus contributed to the building of the temple, and later, the Persians patronized the cult. The ruins are located near Selçuk, Izmir Province, Turkey. Herostratus to have his name go down in history burned it down in 356 BC, on a date that coincided with the birth of Alexander the Great. 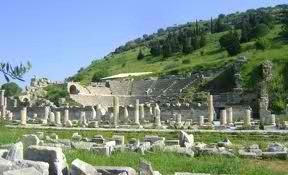 Alexander rebuilt the Temple but it was plundered by the Goths in the third century AD. According to Pliny the Elder, it was built in a marshy area to protect it against earthquakes. 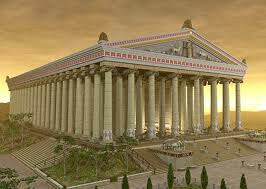 To prepare the ground, Pliny recorded that “layers of trodden charcoal were placed beneath, with fleeces covered with wool upon the top of them.” Pliny recorded the length of the new temple at 425 feet and the width at 225 feet. Some 127 columns, 60 feet in height, supported the roof—almost twice the size of the Acropolis in Athens. St. Paul came to the city in 57 AD to convert the Ephesians to the new religion of Christianity. Paul was so successful that Demetrius—one of the souvenir business owners—feared the people would turn away from Artemis and he would lose his livelihood. He and his fellow vendors seized two of Paul’s companions and a near riot followed during a meeting at the city theater. Eventually, however, the city was quieted, the men released and Paul left for Macedonia. The temple was rebuilt again, but in 391 AD it was closed by the Roman Emperor Theodosius the Great after he made Christianity the state religion. The temple itself was destroyed by a Christian mob in 401 AD and the stone was recycled into other buildings. Architectural pieces are held in the British Museum but only one of the 127 columns that supported the roof remains.